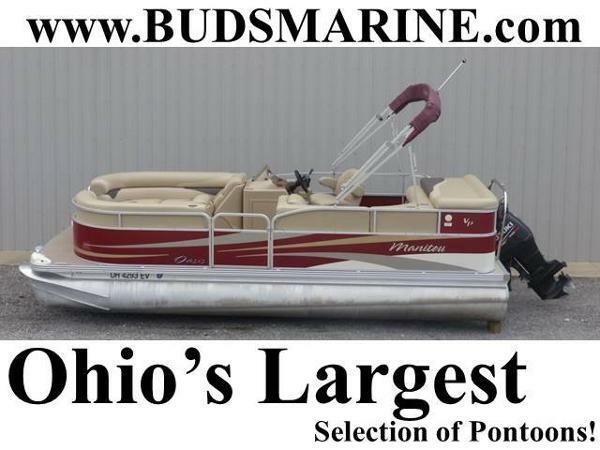 2008 Manitou Oasis SHP 2008 Manitou Oasis 21 w/ Suzuki 175hp Please call or email for more information. 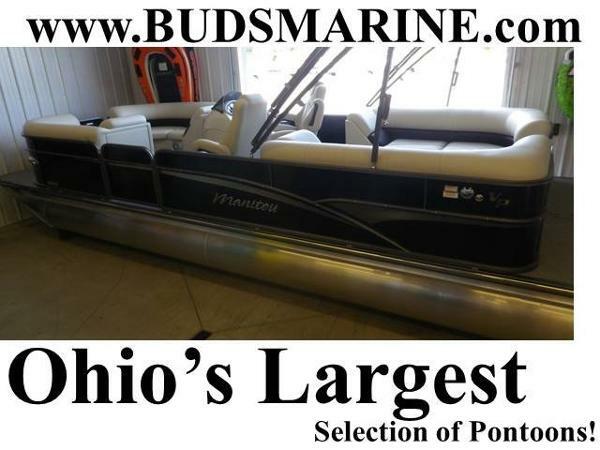 2011 Manitou Oasis 20 VP Please call or email for price and information. 2016 Manitou SES Bench SHP Please call or email for more information. 2016 Manitou Oasis RF VP Please call or email for more information. 2016 Manitou Aurora VP Please call or email for price and information. 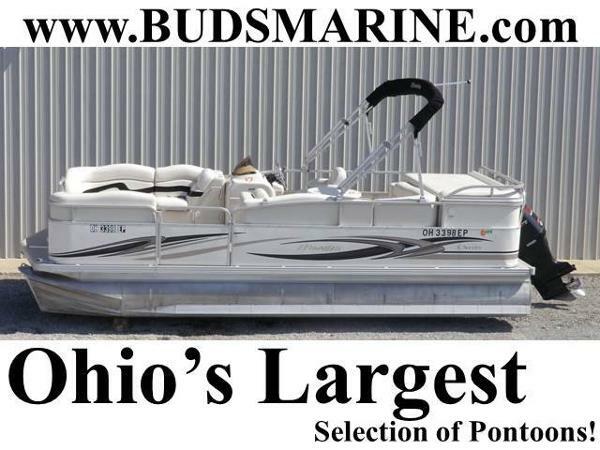 2008 Manitou 24 Oasis Triple Tube Who said you have to sacrifice skiing, wakeboarding and tubing when you purchase a pontoon boat? 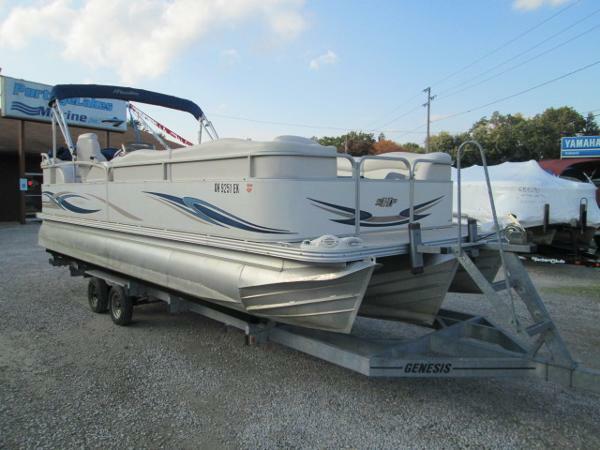 This 2008 24’ Tri-Toon has all the comforts and space of a pontoon yet still giving you all the fun and performance of a ski boat. Get the best of both worlds at a great bargain. 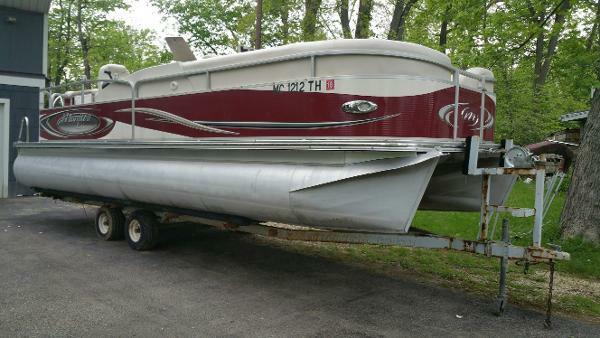 This Manitou tri-toon come packaged with a full mooring snap cover, Evinrude 225 E-Tec High Output motor, SST prop, Genesis galvanized trailer with brakes and pop up privacy room with portable head! 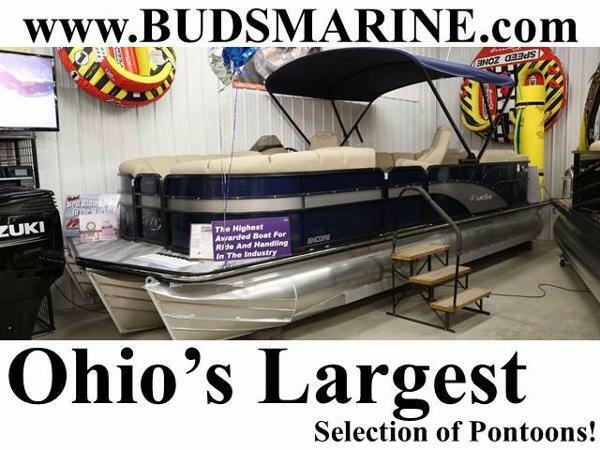 Awesome boat at a great price tag. 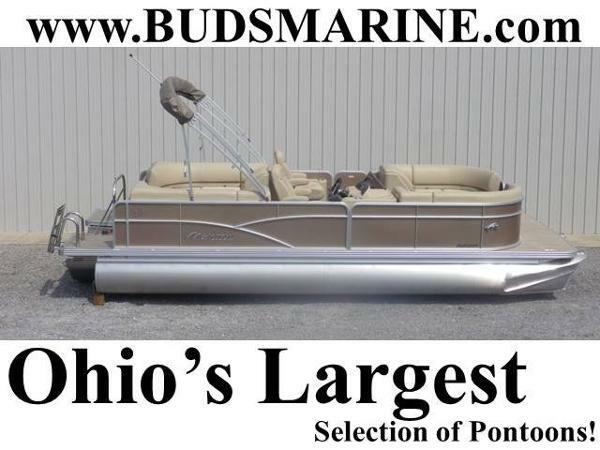 If you are in the market for a pontoon that can perform like a high end ski boat at a good price then you have found it! 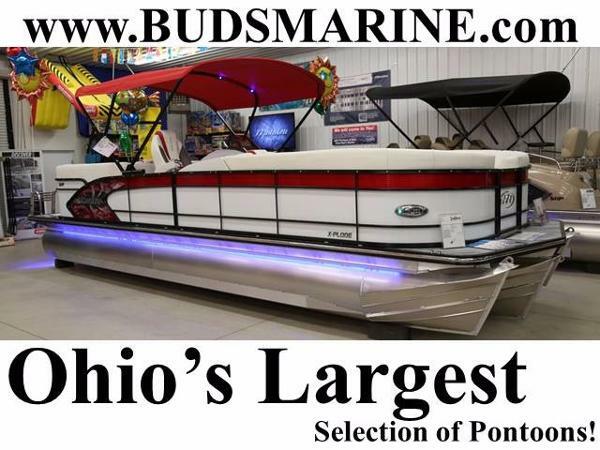 All systems have been inspected from our service department and the boat has been test ran on the water to ensure all systems are in good condition. We also have all compression and engine report information upon request. Then engine has a total of 161 hours of run time. Very low hours and in great condition. 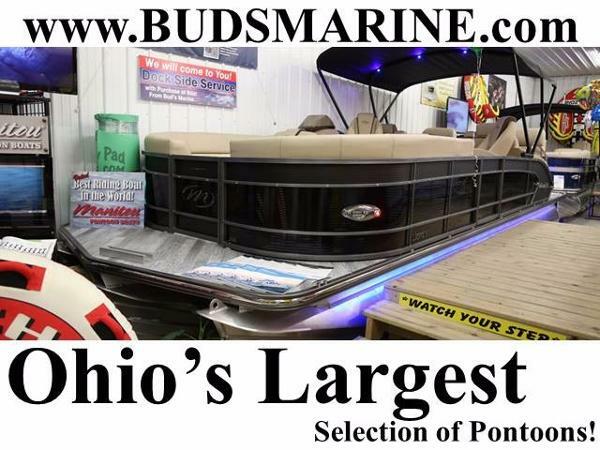 Free storage for the winter with purchase! Grab this one while it lasts! 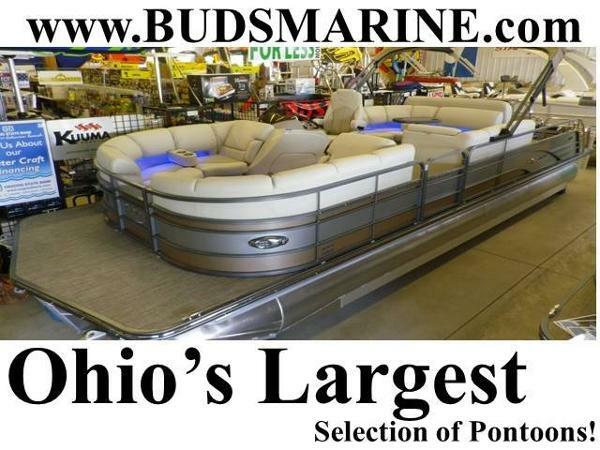 If you have questions please let us know via e-mail or phone (330)644-5020 and ask for Scott.